There is currently just the 1 ferry route running between Sweden and Norway operated by 2 ferry companies – Color Line & Fjord Line. The Stromstad to Sandefjord ferry crossing operates weekly with a scheduled sailing duration from about 2 hours 30 minutes. 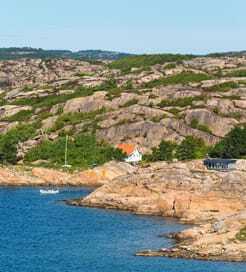 Whilst we’ve taken great care to ensure the information on this page is correct, as the frequency and duration of crossings on all routes can vary from time to time we’d advise that you get a live quote for current availability on this Sweden Norway crossing between Stromstad and Sandefjord. Norway is the westernmost country on the Scandinavian Peninsula in northern Europe, comprising a mainland, the Svalbard archipelago to the north and the island of Jan Mayen to the west. A country of countless geological delights, Norway leaves even the most seasoned travellers speechless. Best of all, as one of the most sparsely populated countries in Europe, you may even get the deep fjords, vast ice fields, glistening glaciers and mesmerising displays of the Northern Lights all to yourself. Populating these beautiful landscapes are some of the most fascinating and varied animals on the continent; polar bears in Svalbard, Eurasian lynxes, arctic foxes and musk oxen are all common, so be sure to organise a wildlife watching tour. The capital, Oslo, stands on the south coast, boasting internationally acclaimed museums, excellent restaurants and happening nightclubs next to green open spaces and lush forests. 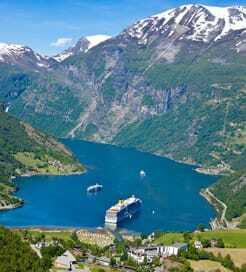 It’s easy to reach Norway by ferry, with numerous port cities and ferry terminals all the way from Bergen on the southwest coast to Oslo in the southeast. Aside from the plentiful domestic routes, there are regular international ferry crossings from Scandinavia and northern Germany, too.